When it comes to food deliveries, Australians only want their food hot and delicious. A good number of Australians love to have their food delivered on the foot of their doorsteps. Because food deliveries are fast and efficient, it is not surprising that many are hooked to it. If you are fond of fast food, there is a big possibility that you are also a big fan of pizza, pasta, Chinese food, fried chicken, among others. Although you may know every flavor or toppings your favorite fast food chain offers, chances are, you are clueless on how the people behind it make sure that you get your food hot and ready to eat when it arrives at your doorstep. Putting the secret recipes, gastronomic skills of the chefs and cooks, and the marketing strategies aside, every fast food leans towards innovation. Every fast food place faces tough competition as there are many players in the industry, which each and every company creates ways to be at least at par with the best and to be creative and innovative in their services. In the advent of smart phones, GPS devices, state-of-the-art computer systems, and growing craving of Aussies for fast food, companies are upping the ante for the customers’ pleasure. Some of the more established and popular fast food chains in the country are turning to technology to provide better services – fast and accurate. They are aiming to satisfy their customers’ craving for tasty food delivery fast – no hassle, plain and simple. One of the rather innovative moves made by these companies include equipping their delivery vehicles with GPS tracking to monitor whether or not the delivery is made on time. This is how serious some companies are with regard to their service. Since they want their customers satisfied and want to ace the competition, they are willing to invest on such device. Quality service is ensured – Since food delivery fans do not want to eat cold and late food, they are after fast food restaurants that deliver the food fast. 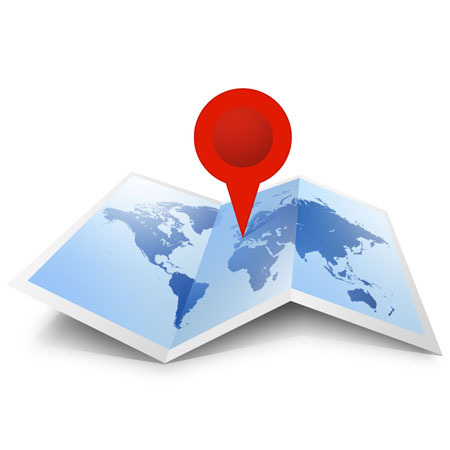 With the help of GPS device, companies can do this without any hassle. The company can monitor and track the location of the delivery vehicle, making sure that the driver is not wasting time or idling. Food is delivered hot and fast, the company makes sure that the client is satisfied – a win-win scenario at the most. Delivery becomes faster and more efficient – Food delivery companies that install tracking devices on their delivery vehicles are more likely to provide more precise and faster delivery services. These companies have the capability of monitoring the usual traffic situation and traffic trends, providing faster delivery service. Using the data gathered from the GPS device, the company notifies delivery workers what route to take and what not to. Delivery workers’ safety assured – Workers who deliver fast food are not accident-proof; they can get caught in a rear-end collision, head-on accident, or minor road accident. Simply put, just like any motorist, fast food delivery workers are likewise at risk of getting injured or stalled in an accident. In order to at least alleviate cases of such incident, larger food companies are utilizing GPS devices to track their employees, making sure that they arrive on time and that they are safe. In case an accident happens, the company can be easily notified, helping it to send help immediately. If you are about to get food delivered to your home, you may want to consider calling a food delivery place that uses technology in their vehicles, and see for yourself if the delivery time will be shorter.